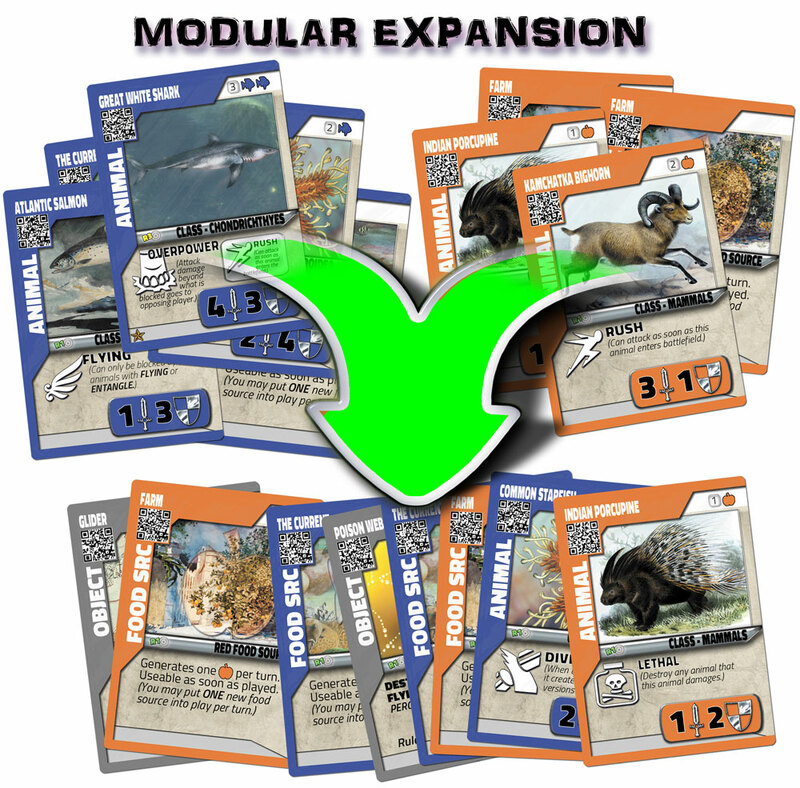 With the Forest deck, you harness the power of animal-vs-animal abilities with stealth attacks with Hide through animals like Sloths, overwhelming attacks with Overpower with animals like Grizzly Bears, and deadly defenses with Lethal through animals like Palm Vipers and Poison Frogs! 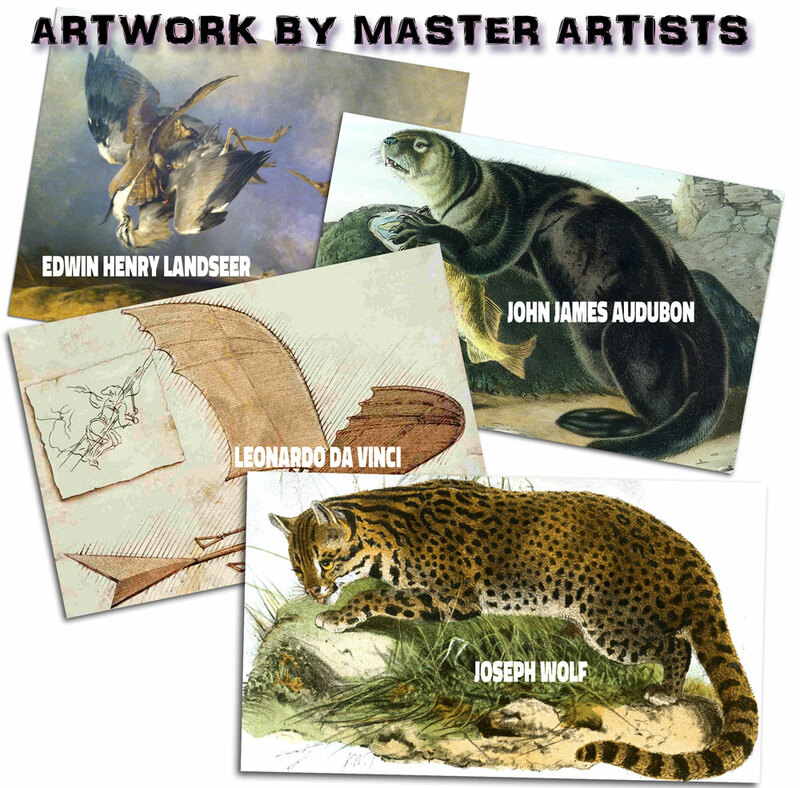 Wild Wars uses the incredible animals found in our own world to encourage a love of science and wonder of the world around us. 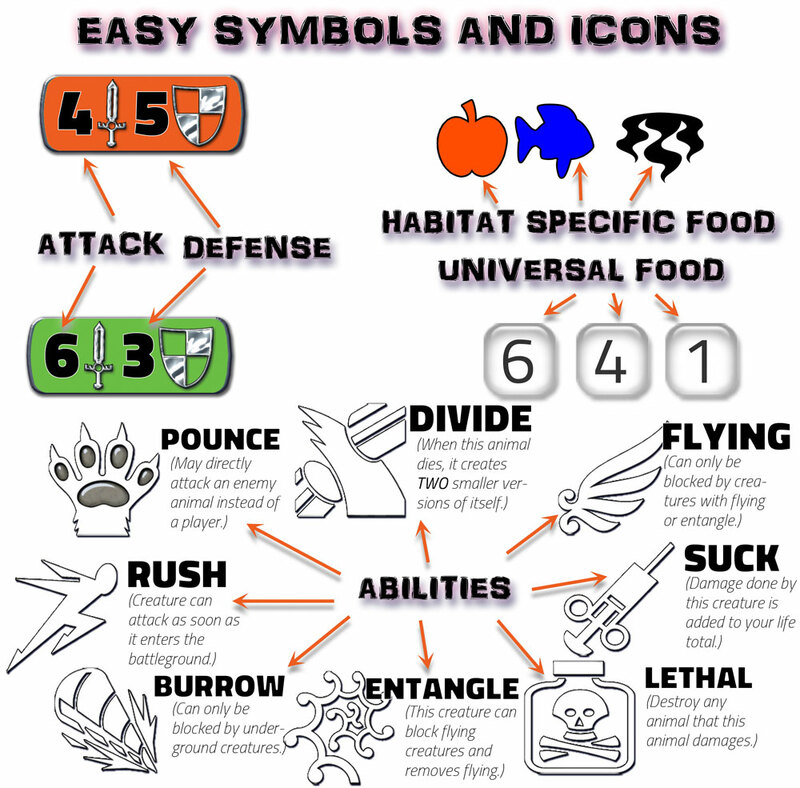 By pairing actual abilities these animals possess with gameplay, Wild Wars creates a revolutionary form of enriched learning! 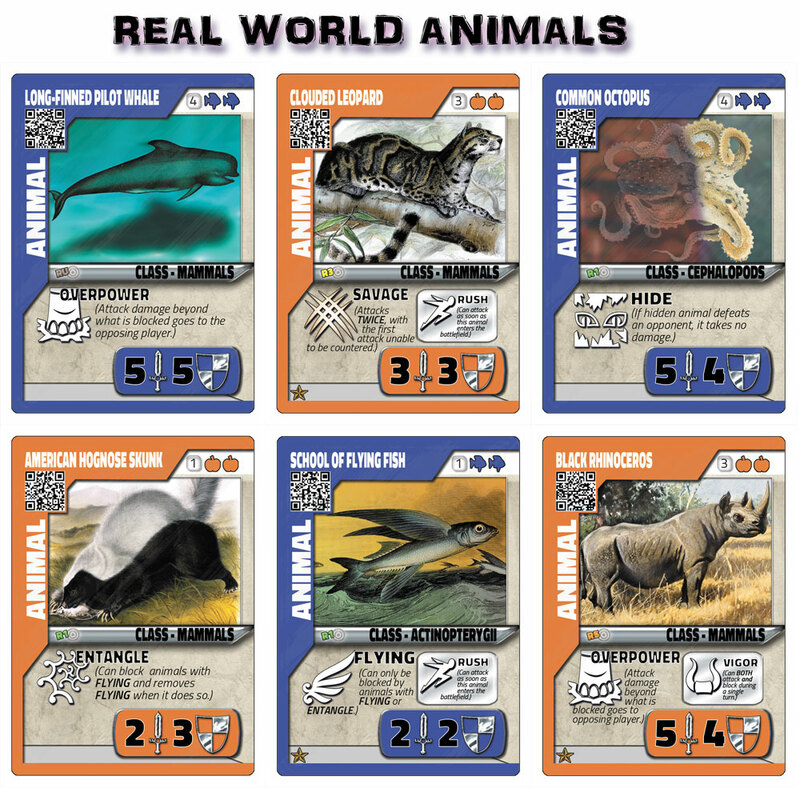 Each card comes with a QR code to let you learn more about the animals, objects, and food sources you'll be using! 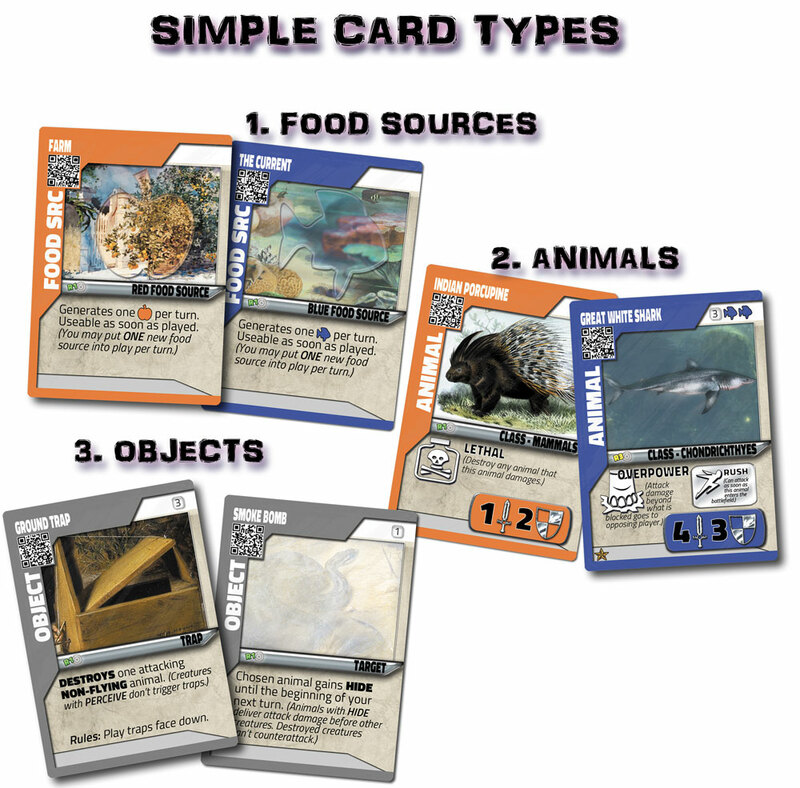 Because Wild Wars is a CCG (Collectible Card Game), it's not limited to the core decks, so players start with a basic deck and then are free to swap in better pieces from other decks and expansion packs to more fully reflect their preferred game play as they learn and grow! Players are encouraged to combine kingdoms to create hybrid armies, to swap in all-stars from a roster of current and soon-to-be-released generals, and trade with friends to create the most powerful army! 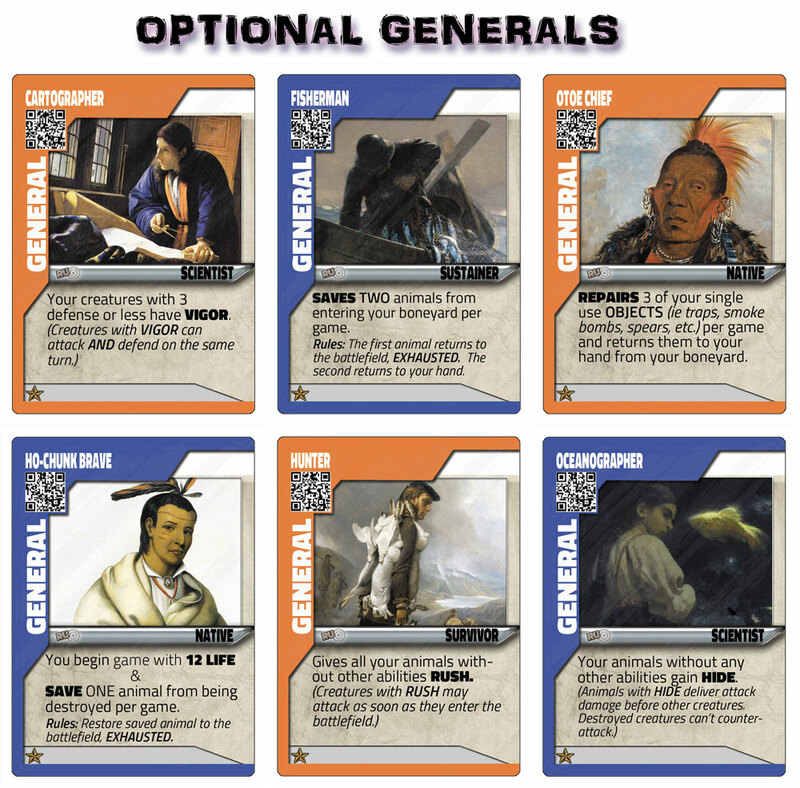 The Wild Wars proprietary Power Star System allows the game to advance with the player’s skills. With complexity measured by stars, the more stars on a card, the more options it has--and the more advanced it is! This allows households with a variety of ages and skill levels within them to quickly transform decks to fairly compete!